Though translated as “ice cream”, gelato is a frozen treat all its own. Much softer and creamier than ice cream due to its lower milk-fat, slower churning, and warmer serving temperature, gelato is scooped up with flat spatulas and scraped side-by-side into cups or cones, rather than balled with warmed scoops and stacked one on top of the other. 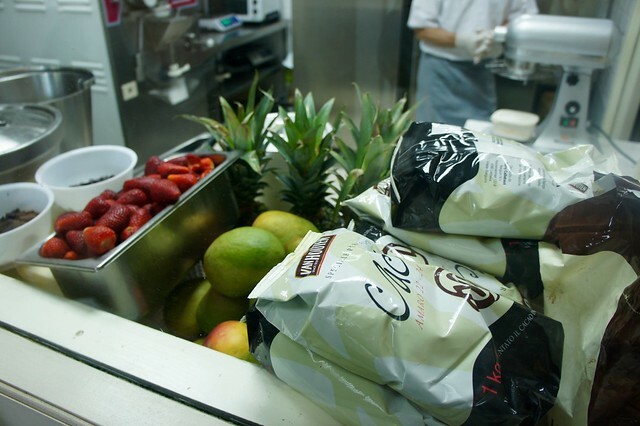 Because of the softer texture, the flavors tend to meld together in your cup or cone, so choosing complementary “frutti” (fruit flavors) or “creme” (kind of an umbrella category for everything that is not fruit based, from chocolate to hazelnut) is all the more important. A basic cup or cone is usually two flavors, with an additional flavor added on with each step up in size and price. Gelato is more than just a snack in Italy, but a ritual tied to the passeggiata in a way that no other food in this street-food bereft culture is. Where almost anything in the U.S. can be eaten on the go, very few Italian foods can, and very few Italians want to! Gelato is one of the few exceptions, and everyone from stately grandfathers to young hipsters to toddling grandchildren can be seen walking down the street licking dripping cones or digging into cups with tiny plastic shovel-shaped spoons for the late afternoon “merenda” (snack) or after dinner on hot summer evenings. 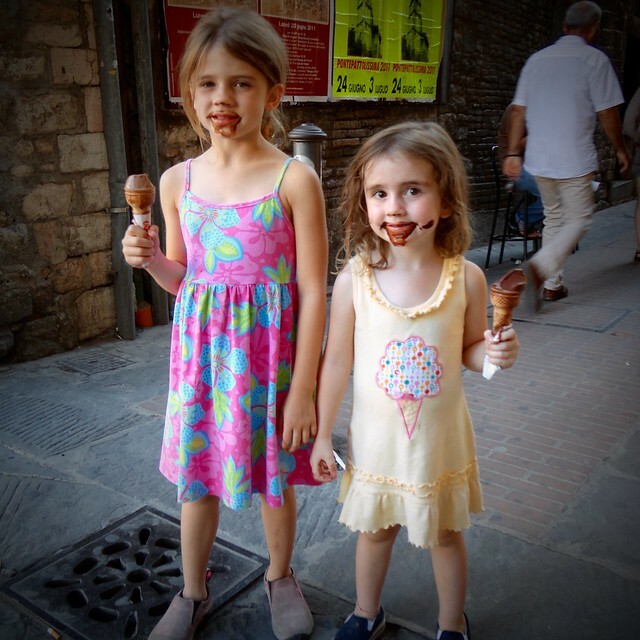 The true aficionado knows, however, that not all gelato is created equal. Though you may be tempted by the fluffy, brightly colored, towering waves of gelato filling the displays of many street-side gelaterias (especially in more touristy areas), these are two signs that should actually be avoided. 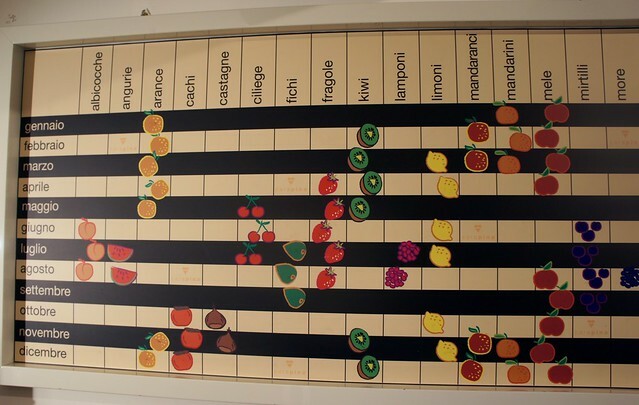 As Brian recently discovered during a private gelato tour in Rome last week, bright colors indicate color additives and the use of 'flavor gels' or pre-purchased juice mixes instead of natural ingredients, and waves indicate air pumped in to make it voluminous instead of tasty. 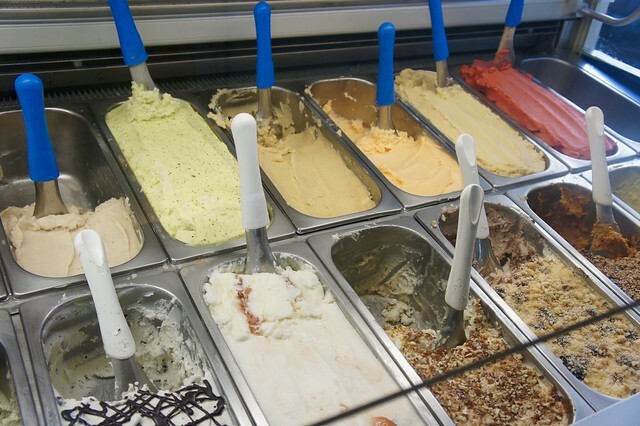 Though it sounds counter-intuitive, the best gelato lays flat and dense in the displays, and usually has muted tones. Go for the dusty rose strawberry rather than the bright red, and the dull greenish-brown pistachio rather than the acid green. 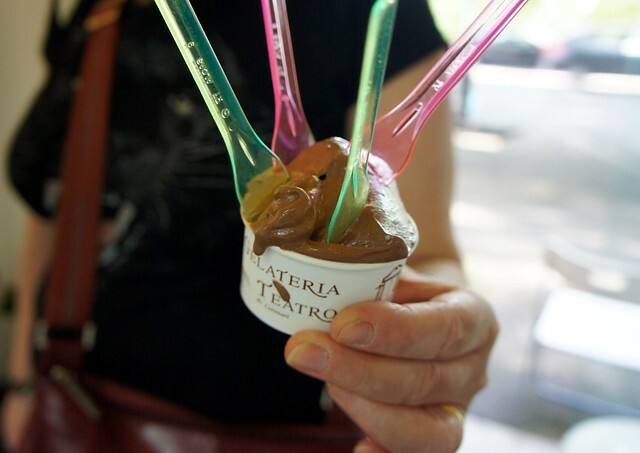 Just because a gelateria is particularly popular and claims to make their own products doesn't mean that the gelato is either quality or artisanal. 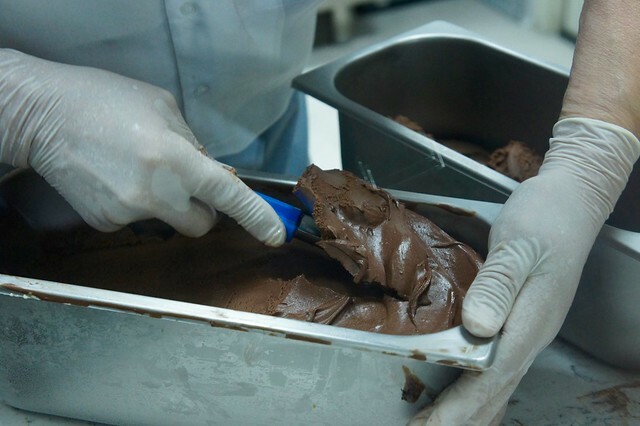 Additives and gels make the gelato attractive, and you can claim “gelato fatto in casa” even if you are making your “homemade” gelato with prepackaged mixes and enhancers while preparing it with machines on the premises. Real quality gelato is, as mentioned above, not particularly showy and also honestly “artigianale”, in the sense that only very few, select, excellent quality ingredients are used. True strawberry gelato is just strawberries, water, and sugar; chocolate gelato is made from milk, sugar, cocoa powder, and chocolate. Anything more is just an additive used to mask less than top quality basic ingredients. 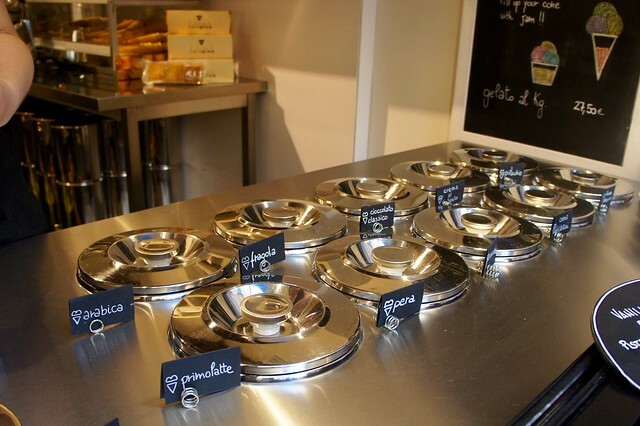 Not only should you choose your gelateria with care, but you should also pay attention when deciding which flavors to sample. Gelato, just like most of Italian cuisine, is tied to the seasons, so if you are traveling in the winter and come across strawberry, that's a sign of suspicious “artisan” gelato. Fruit flavors will be more plentiful from late spring - Brian recently had wild strawberry in Rome, one of the few fruits ripe in May - through the fall, and the “creme” are generally available all year long. Also steer away from anything clearly artificial: it's becoming more common to come across flavors like buttered popcorn and the ubiquitous and startling “Puffo”, or Smurf flavor, named for its bright blue color (the flavor veers from bubblegum to cotton candy, it seems). Those flavors defy the laws of nature and should be shunned by anyone above the age of three. And even those younger. Last week, Brian visited three local artisanal gelaterias: Gelato del Teatro, with excellent fresh ingredients, cake flavors reflecting the founder's training as a pastry chef, and inventive flavors like Cioccolato e Nero D'Avola and Ricotta, Fico e Mandorle; Alberto Pica, known for its fragoline and riso zabaione; and Carapina, new style of gelateria with “slow food”style branding and intensely flavored, creamy gelato with a limited selection of flavors based on seasonal availability of fruit. 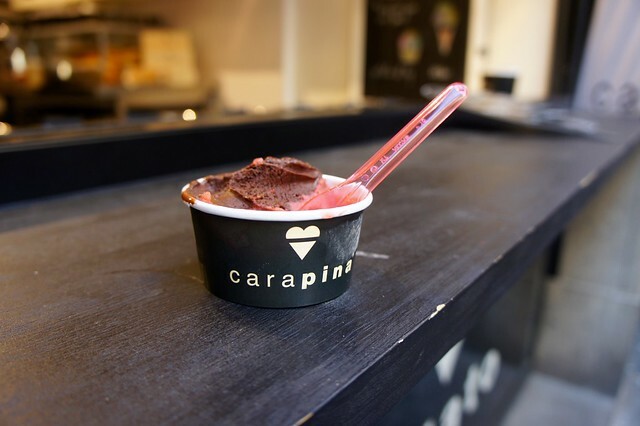 The biggest discovery during the tour was that gelato needs a rest period for the flavors to meld and develop. 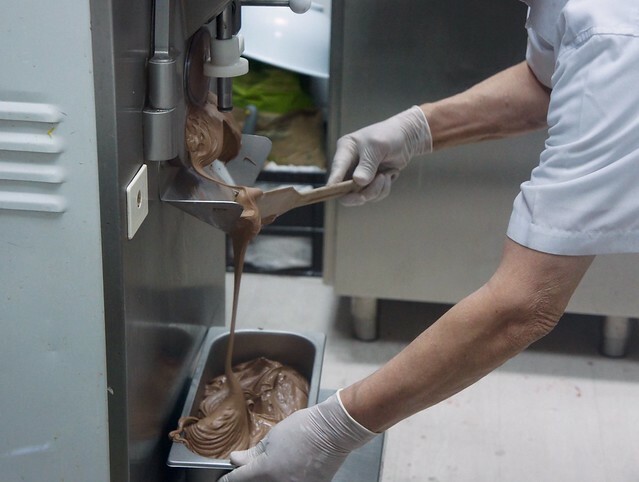 Brian was able to sample chocolate gelato directly out of the machine, and found that it tasted only of cocoa powder, but the finished, rested, and frozen product was instead balanced and rich. It seems that fine gelato, like fine wine, needs to breathe.